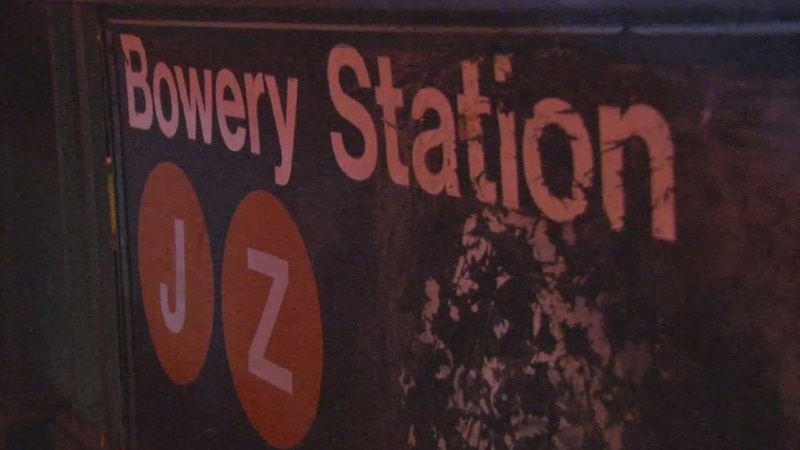 LOWER EAST SIDE, Manhattan (WABC) -- An argument turned violent on a subway train on the Lower East Side. Police say a 30-year-old and a 53-year-old man were on a Queens-bound J train on Friday night. When one of them wanted to sit down, they got into an argument with another group of men, because they were taking up too much space. The 30-year-old was hit in the face and in the chest. Then, one of the men in the group pulled out a hammer and hit the 30-year-old several times before running off.